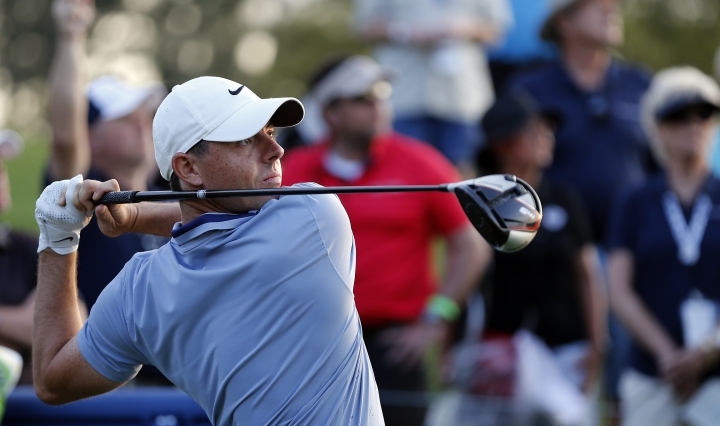 PONTE VEDRA BEACH, Fla. — Rory McIlroy says slow play on the PGA Tour has become an epidemic. 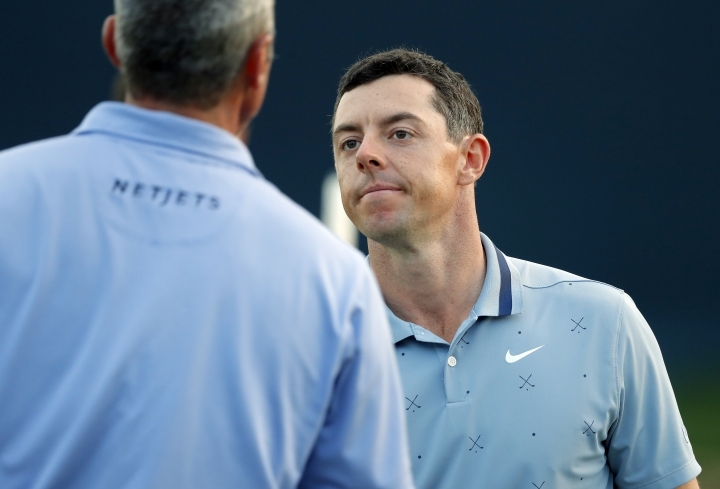 McIlroy and playing partners Phil Mickelson and Matt Kuchar waited on nearly every tee box and in nearly every fairway during the second round at The Players Championship on Friday. Even with daylight saving time, Anirban Lahiri had to return for a final putt Friday morning to finish the first round and several players had to scramble to beat the impending darkness in the second round. "Because (tour officials) don't do anything about it," McIlroy said. "It's become somewhat of an epidemic on tour. Look, it's our livelihoods and people are going to take their time. And as the course dries up and gets firmer and gets tougher, guys are going to take their time. But the fact that someone didn't finish (Thursday) ... that's unacceptable." McIlroy then checked his watch and noted that it was 5 hours, 40 minutes after his tee time. "I get that it can take five hours to play out there, but it shouldn't take any over that," he said. "Honestly, I think (the tour) should just be a little tougher and start penalizing shots earlier, and that would be an easy way to fix it." 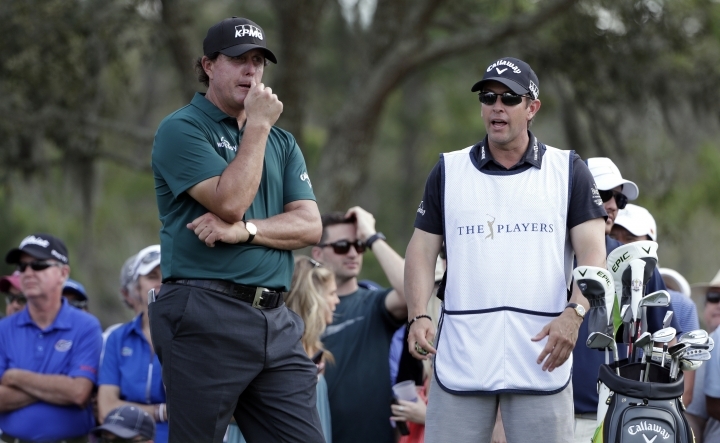 Mickelson missed the cut at The Players for the sixth time in the last seven years. He also missed the cut in consecutive tournaments for the first time nearly three years. Both are troubling trends for Lefty. "I don't know what it is about this golf course," he said after shooting a 2-over 74 and missing the cut by five strokes. 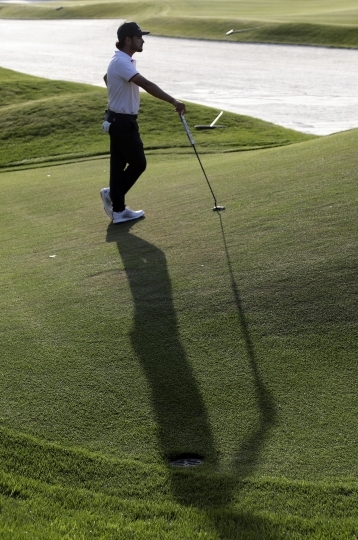 "It's in pristine shape, it's wonderful setup, it's terrific, and I just don't play well. I don't know what to say." Mickelson also had little explanation about how he's played the last month after winning at Pebble Beach. He tied for 39th at the Mexico Championship in late February and missed the cut last week at the Arnold Palmer Invitational in Orlando. "I haven't played well the last three events, so I don't know," he said. "I don't feel like it's far off. I actually felt like I hit a lot of good shots this week, but I'm having some trouble with the putter, and I'll have to work that out." Mickelson will take next week off and likely return at the Match Play Championships in Austin, Texas, in two weeks. Mickelson refused to blame his struggles at the Players — it's the 10th time in he's missed the cut at TPC Sawgrass in 26 tournaments — on off-the-course distractions. He learned earlier this week that a college consulting company he has used the last three years has been accused of orchestrating a massive bribery scheme. Mickelson said he never contributed to William "Rick" Singer's foundation tied to his California-based company, Edge College & Career Network, but used the service to find the right fit for his children. His oldest daughter is now a sophomore at Brown. "I'm used to taking hits, but it hurts when you have your kids being questioned over doing nothing but working hard and studying hard," Mickelson said. "But we're going to be OK."
Jordan Spieth also missed the cut, the fourth time in the last five years he's failed to stick around for the weekend. 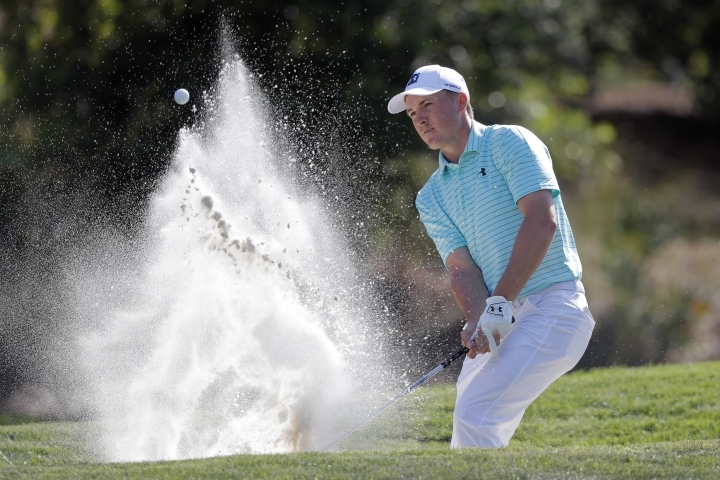 Spieth left the Stadium Course knowing he had no chance after hitting balls in the water on consecutive holes and making double bogey on the seventh by taking two shots to get out of a fairway bunker. That negated a seven-birdie round. Spieth has missed the cut three times in eight starts this season, and has not finished closer than 14 shots of the lead in the other five tournaments. "I'm getting tired of it now, yeah," said Spieth, whose biggest problem this week was a two-way miss with his driver. "In any career, you're going to have ups and downs," he added. "It's just how it works. It's just a matter of ... learning from it, finding out why, so that you don't get as off next time in those situations and then when it's going good, what did you do to get there. So it's fine. Everything's OK."
A day after Ryan Moore aced the par-3 17th, Sungjae Im did the same at No. 13. Im's was the first of career on the PGA Tour and the 34th in tournament history. It was the 12th at the 13th. It's also the first time since 2013 that multiple aces have been made at TPC Sawgrass. At 20 years old, Im became the youngest to ever record an ace at The Players. He hit an 8-iron from 152 yards. The ball landed a few feet past the hole, spun backward and rolled in. Im high-fived spectators as he walked to the green. He also stopped, removed his hat and bowed in a show of thanks to those cheering. WNBA star Elena Delle Donne walked 18 holes with the group featuring Tiger Woods on Friday. She witnessed Woods recording his worst score at the par-3 17th in 69 rounds at the Players. She also saw Woods make par or birdie on each of the remaining 17 holes and finished at 1-under 71 for the day and 3-under 141 heading to the weekend. Woods' niece, Cheyenne Woods, Jacksonville Jaguars place-kicker Josh Lambo and the crew from the popular YouTube channel Dude Perfect also made the rounds during the second round of the tournament. Woods, Lambo and the five Dude Perfect guys had a chipping contest on a scaled-down, replica version of the par-3 17th. They attempted shots right-handed, left-handed and backward. The par-4 12th at TPC Sawgrass is playing more like a really long par 3. The top nine players on the leaderboard, including co-leaders Tommy Fleetwood and Rory McIlroy, made birdie or better at the 304-yard hole. No. 12 ranked as the easiest on the course in each of the first two rounds and has yet to yield anything worse than a bogey. More players (147) have birdied it than those who made par (114) and bogeys (16) combined. The field has played it at a combined 145 under in two rounds: 76 under in the opening round and 69 under in the second round.